"I am an over-thinker and I felt like I was stuck in a rut. It was a vicious cycle - the more stressed I was the worse the physical symptoms felt, leading to daily panic attacks. I had lost my passion for fitness and training and found it impossible to get motivated about life. 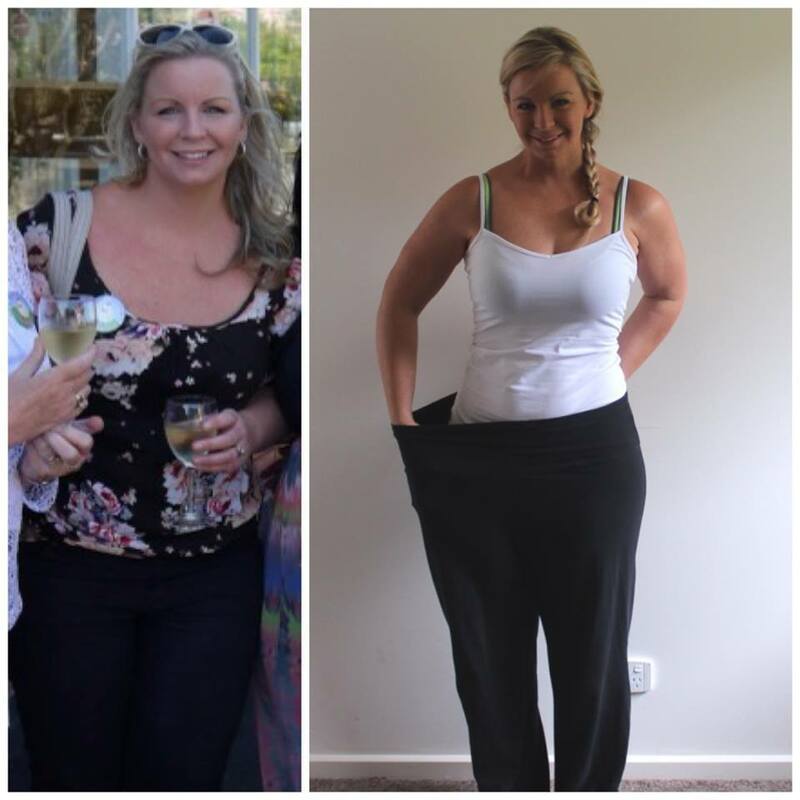 Twelve months later I have dropped a dress size, dramatically increased my health, strength and fitness and have completely changed my weekend habits. It is now a rare occasion that I drink alcohol and I feel so much better for it." "I was your classic yo-yo dieter. I had tried every diet you could think of, wanting that quick fix. I was the “Just another 5kg and I would be happy with the way I look” kinda girl. I would train twice a day, restrict myself of food thinking this was the answer. Yeah, it worked to start with and yes I got results. But were they sustainable? No.... in fact all it did was pull me further away from where I really wanted to be, because each new diet I had to work harder for. I not only have myself to think of, but I also have a 10 year old son who is my reason "why". I don't want him growing up thinking that you need to be perfect. I want to show him that it's ok to make mistakes. I want to show him that we should strive for progression, not perfection." "I, like many others, have had children, watched my body change, suffered post-natal depression and over the years the kg's just kept creeping on. I then went on every diet imaginable and it got to a point where, if I took another bloody thing out of my diet (carbs, sugar, gluten, dairy, certain plant food etc), I would have been left with just the air to breathe!! And so it was another desperate search on the internet, this time Facebook (good for something) that I stumbled across the AB Factory in the Yarra Ranges Noticeboard. Who knew Facebook would bring me the gold as it did its founder." "Even at the age of 50 I’m not afraid to seek out advice and accept that I may not be able to do it alone. My biggest piece of advice would be to accept that you will not change your mindset in just a few weeks or months. When you are 50 like me and now having social media throwing new diets/training styles at you every day, it’s important to take your time and do your research. Then when you are thoroughly satisfied with the science behind it, you need to block out the noise and trust the process." 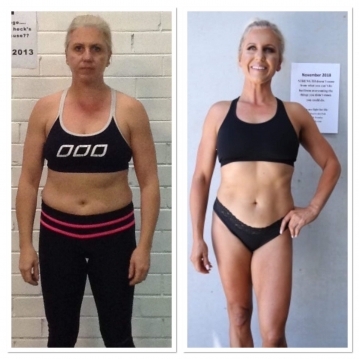 "Living with Crohn's disease has its challenges but I won't let it stop me from achieving my goals. The structure and accountability Trish and Dave provide is awesome. Their program is easy to understand, clear and concise. Just the way it should be." “I’ve watched my mum struggle all of my life with her own weight and I see the constant battle she goes through. I don’t want my kids to watch me go through the same. I want to feel amazing, have endless energy to keep up with my kids, be healthy and strong and I want to be a perfect role model for them so they grow up the same! 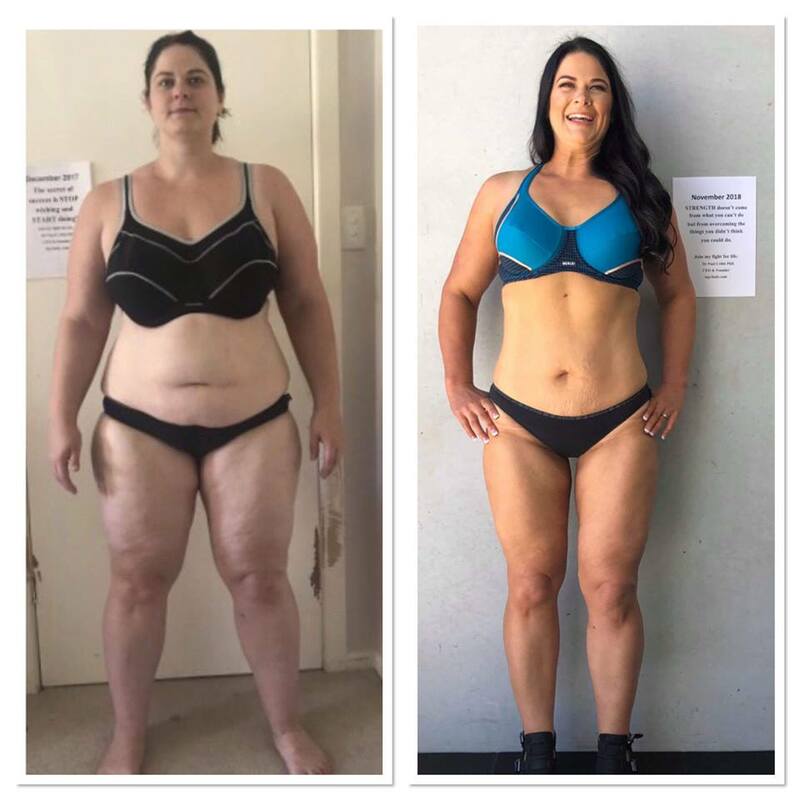 Many members of my family are overweight and I will stop the cycle of obesity in my family and be an inspiration to them and show them you can change your lifestyle, not to just put it into the hard basket. “It‘s the best feeling knowing there is no expiry date. These are goals backed up with more goals. "Towards the end of 2017 I was diagnosed with Chronic Fatigue Syndrome, had come down with Glandular Fever for the second time in a year and to wrap it up I was diagnosed with Anaemia which required iron infusions and complete bed rest. That was a snapping point, being told to rest completely for a week. I couldn't do that, my daughters need me and I am supposed to be a role model for my clients – the picture of health. I hope to inspire other mums to never lose sight of taking care of themselves, sometimes you need to put yourself first to put your family first." "The first step towards success is taken when you refuse to be captive to the environment in which you first find yourself. It doesn’t matter if you’ve messed up or fallen off the wagon. Admit you were wrong, pick yourself up and learn from your mistakes. Success doesn’t come from success, it comes from failure...! I have failed countless times along my journey... But each time I have learnt something new about myself. Admitting you are wrong makes you coachable. If you're not willing to admit your mistakes, then you're not ready for change." "If you've been working on yourself, make sure you are proud of every step of your progress and journey. EVEN when you feel like you aren’t where you want to be just yet! Make a decision to look for the positives in life and rock the new changes (physically & mentally) that you’ve been able to achieve. Find an outfit you LOVE and wear it with pride and confidence! There are so many benefits to living a healthy, active lifestyle. It's all about loving what you got & rocking it. 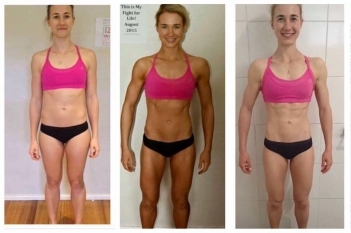 If you haven't got the body you want right now, then whatever you have done up till this point has not worked. To keep you on track, you NEED a strong enough reason. A strong, scary but exciting goal, to pull you forward to do what is required to achieve it." 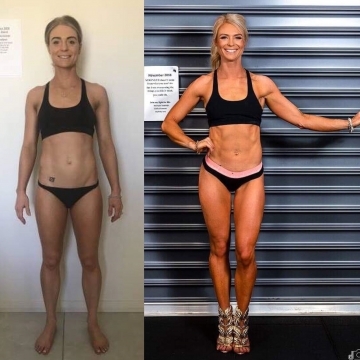 "There have been a number of times where I was just going through the motions, but as soon as I am challenged and pushed, my mindset changes instantly. Over this time I have learned a lot about the type of training and nutrition required to sustain a body I am proud of and achieve my goals. I have both Dave and Trish to thank for that. Last year I even participated in a professional photo-shoot, that scared me more than any event or race I have ever done. I had around 14 weeks to get myself in the best shape I had ever been. I was blown away with what I achieved, and hey everyone likes a compliment thrown their way, and there were lots of them from family and friends. Dave continues to throw crazy ideas my way, some I take on board and some I don’t . Anyone who is willing to test themselves, it is a two way street. You need to be prepared to put in the hard work. And if you do, I assure you that you will be supported every step of the way at the Ab Factory." 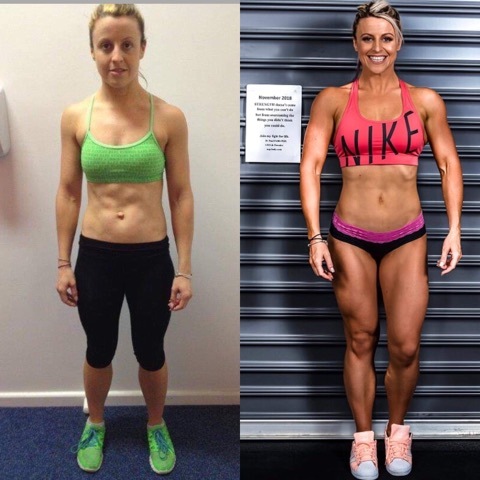 "I used to be an 'all or nothing' person when it came to nutrition. If I missed breakfast, or ate a meal not on my meal plan, I was done for the week and had to wait until Monday to start again. This time however, if a mistake was made, I would work through why it happened and immediately get back on track. I learnt that persistence is key. I didn’t try to be perfect, I just improved my compliance. There were many nights where there was very little sleep, and days where I would have to cuddle my son for hours on end. At times, missing training sessions, compliant meals and necessary shut-eye, I was exhausted. But rather than focus on what I was doing 'wrong', I just focused on improving what I was doing 'right' and gradually other areas began to fall into place too. 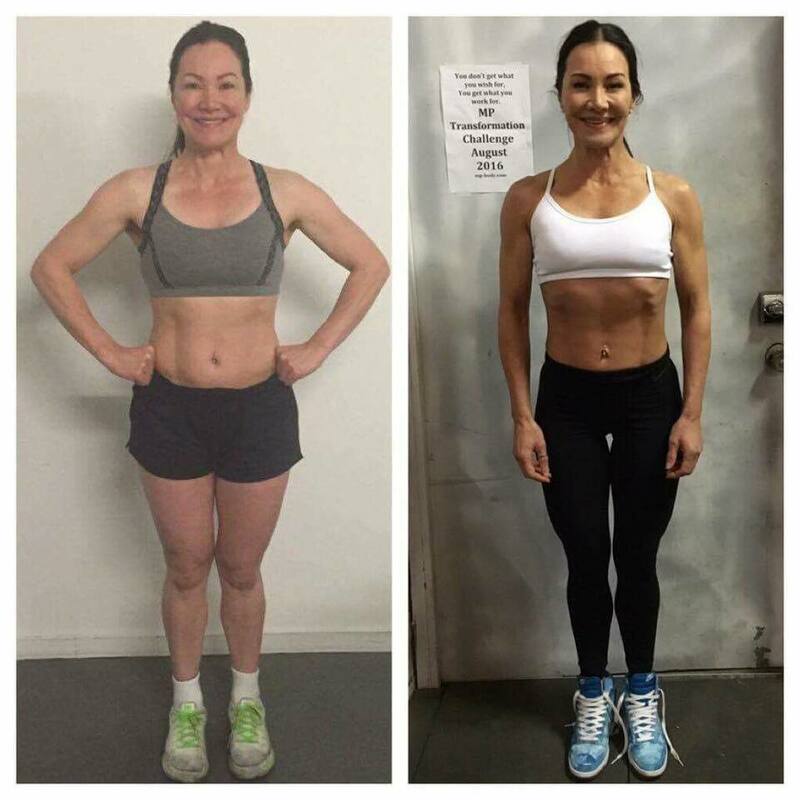 "I didn't know it at the time, but my nutrition wasn't the best. I've tried blood type diets for many years, cutting out important food groups etc. but always struggled with fat loss and muscle gain even through I spent countless hours in the gym. this path always ended up with me becoming exhausted. 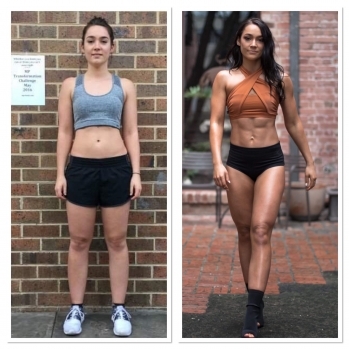 This once fit person wasn't feeling very fit anymore... I was getting a wee bit chubby and not so healthy. 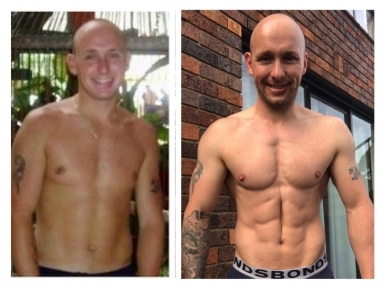 Since doing this program my health and physique has been the best it's ever been!" 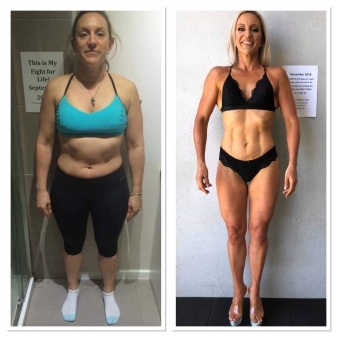 If you've struggled to create that firm, shapely body you've always dreamed of, then this is the solution you've been looking for. You too can have access to the methods we use to create a shapely, firm body and to keep it, year-round. Our clients are given hands-on and personalised guidance that has been proven to work for hundreds of real women from all walks of life. No silly PDF files to follow, you get REAL and personalised feedback from us each week as you work your way through the online tasks. Our personal email for the ultimate 24/7 email support and guidance. 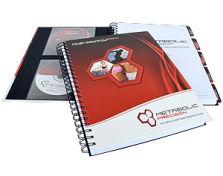 A beautifully presented transformation manual complete with Metabolic Priming, Metabolic Nutrition Timing, The Metabolically Precise Meal Construction System, The Kitchen Makeover System, The 10 Point Exercise System, Over 50 Ways to Eat to leave your blubber! How to monitor your plan without counting a single calorie! 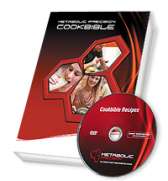 A Cook bible gives you over 175 gourmet-quality recipes that optimise health and fat loss results. 'I have a saying, lots of people are certified in the fitness industry but there aren’t too many that are qualified. You can sit in a classroom all day and talk about what to do, but it’s experience that counts. You wouldn’t hire a builder to build you a house if they were super-qualified but had never actually built a house, would you? "We don’t train for fun, we train for results. We don’t do what’s enjoyable, we do what’s proven to be effective. We don't do what feels good in the short term, we do what will benefit in the long term. Everything you do has to have a purpose. Everything you do has to be for a reason. Everything you do should be for a particular result. And that result and achievement is what should bring you happiness and satisfaction." 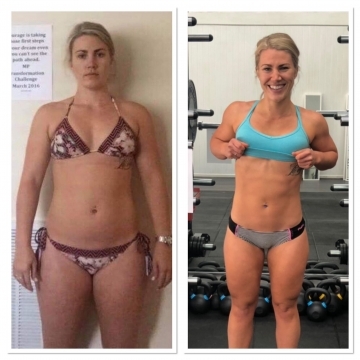 "So many women think they have to train for hours everyday and restrict their food choices to achieve great results, and they don’t have to!